I am terribly sorry for the lack of updates, we all got swamped with classes and it was a struggle just to keep working out. I will get the rest of the blogs and pictures up soon as I have some extra time off during the holidays. 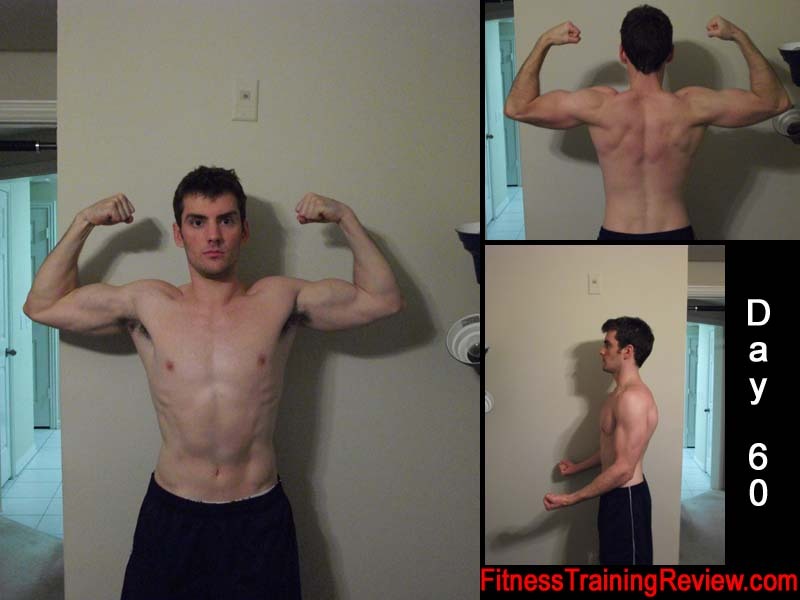 Here are p90x results pictures on day1, day29, day60, day90, and then I put day1 at the bottom as well so you can compare the first and last day photos easier. 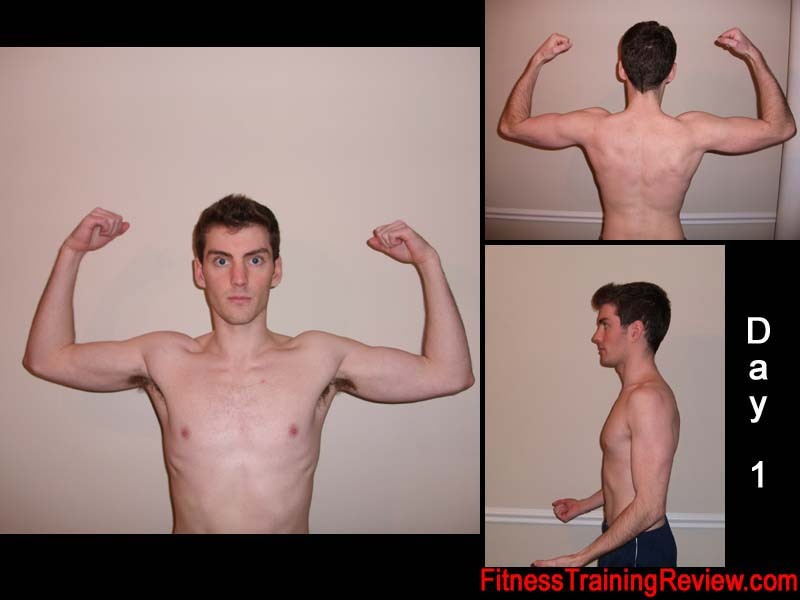 If you have any questions or comments about my overall p90x results or just the p90x before and after pictures please feel free to use the comment section and I will reply as soon as possible. Hey, sick results! I am just starting out and I wanted to know if you did anything different with the program to get that amount of mass gain. You got huge, man! I know the program is mostly used for weight loss, so I was wondering if you changed anything with the workouts or diet. To be honest I really didn’t do anything too special. Throughout the program I always tried to do high weights and low reps. I also made sure to eat A LOT of protein. My diet wasn’t quite high enough so I ate a protein shake each day. I got some cheap whey isolate protein from Walmart, I then took two scoops of the protein, 1 scoop of Shakeology along with 1 banana and 1 scoop of peanut butter. This made a really tasty, and healthy shake to look forward to each day. Lastly I just made sure to put forth full effort everyday. 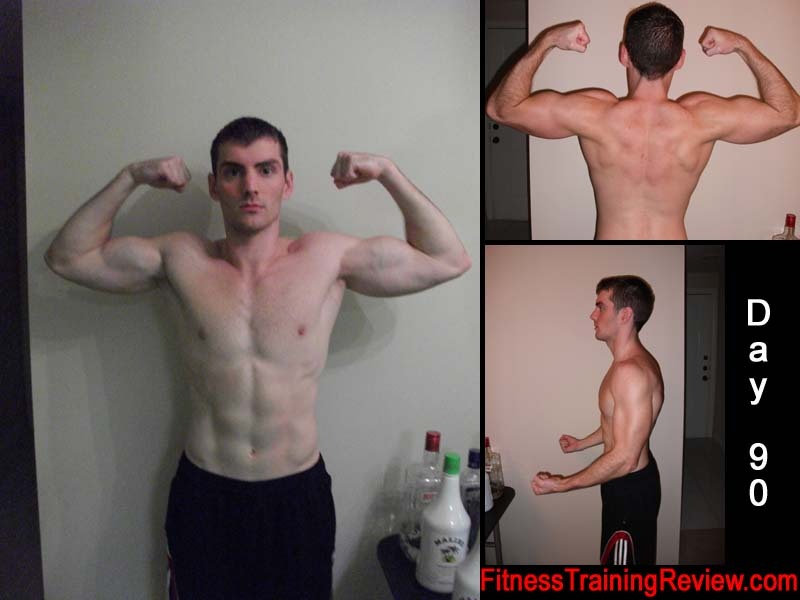 After a few weeks I started seeing results and it really helped me stay motivated throughout the program. Man this is a huge motivation booster. I’m starting the program to get back in shape after a pretty fat holiday season and to get ready for spring, although I’m usually in an alright shape. I’m pretty strong willed so I plan on putting 100% into it. I wanted to ask you, did you use dumbells or bands? The only dumbells I got go up to about 35 pounds. You seem to have gotten a pretty huge mass increase and I was wondering if that’s achievable with bands. Hey all! I’m new to P90x. I was wondering if anyone has any experience with this workout that has lower back pain. Did it help? Did it make it worse? Just cerious! Great results. Looks like you were able to pack on a lot of muscle. I am following the nutrition guide very closely and really pushing myself every workout. I am hoping to lose body fat while toning and gaining muscle. I am almost 3 weeks in but already having great results! One of my sister’s friends gained around 75 pounds while pregnant with her son and she went from thin to fat in about 5 months. A few months after her son was born she began P90X and tried to get my sis involved. I saw her about 6 months later and she is not as thin as she once was. She looked fit and amazing! I couldn’t believe that she lost all that fat and gain so much lean muscle. My sis is super jealous and I only wish I had done it with her. I was so impressed that I have purchased P90X and will be starting after my next payday. I am looking forward to saying goodbye to my left over preggo weight. This program really works! Great results! 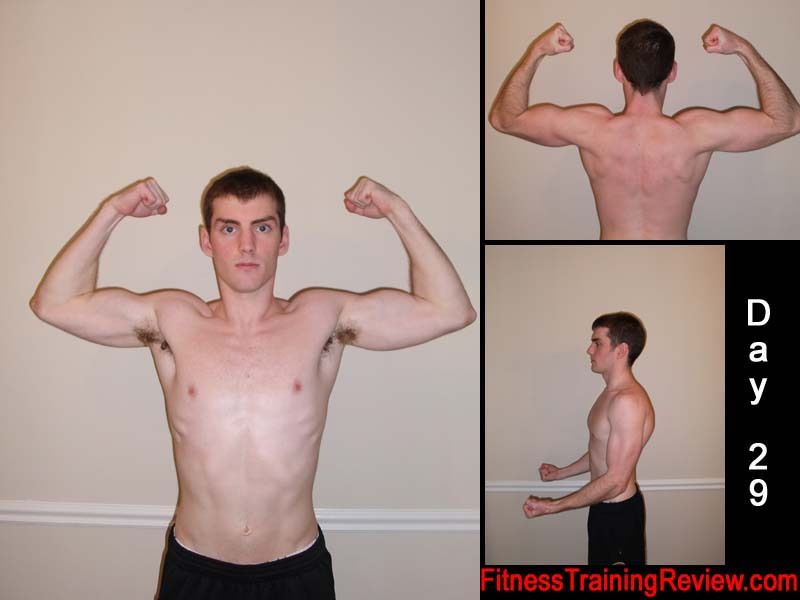 I did one round of P90X last summer and had decent results, but not quite as good as you. I did lose about 10 pounds but could not drop as much fat. Of course I did not follow the nutrition plan at all. I think I am going to try another round this summer. Keep up the great work. Please tell me you were able to still drink all that rum and vodka i see in one of your pics during the 90 days and still get the results you got?? I can commit, but need a buzz once in awhile to keep me focused! Even though you were swamped with classes you still kept working out when some people would have stopped altogether. That is good motivation for me. Haha Eric my roommate worked with Pernod Ricard so yea we did some drinking 😉 It is perfectly ok to occasionally enjoy a treat..in fact it’s recommended in order to avoid getting burned out! A glass of red wine here and there is good for you.